The clatter of rubbish bins being emptied echoes from the road and into the rehearsal space on Foley Street, just as Willie White is delivering the last lines in a scene from The Examination. “I’ll never forget the smells,” he says, his voice fading into a quiet nostalgia, almost a whisper. White is sat upright, hands laid down straight on the table with the script, wearing a striped green, white, and purple T-shirt, upper arms bulging with tattoos. This is his first acting role. “Good man,” says Feidlim Cannon, one-half of the theatre company Brokentalkers, along with Gary Keegan. Keegan and Cannon sit beside one another, about five metres away from White. They follow the script on a shared Google doc on laptop screens glaring in front of them. Keegan considers it for a moment, pen in his right hand and never far away from his mouth. “How does he get up and why does he get up?” he asks. “I think I should just get up when the voice starts,” interjects White, a full-time scaffolder, part-time comedian, and ex-prisoner. White has just been recounting a specific experience from his time in prison – the smell of the toilets that pervaded Mountjoy. Although it is just White in front of the directors now, you can picture them framing him with the set in mind, the lighting shining down on him, and the rest of the mise en scène that will envelop him once the show hits full production later in the month. 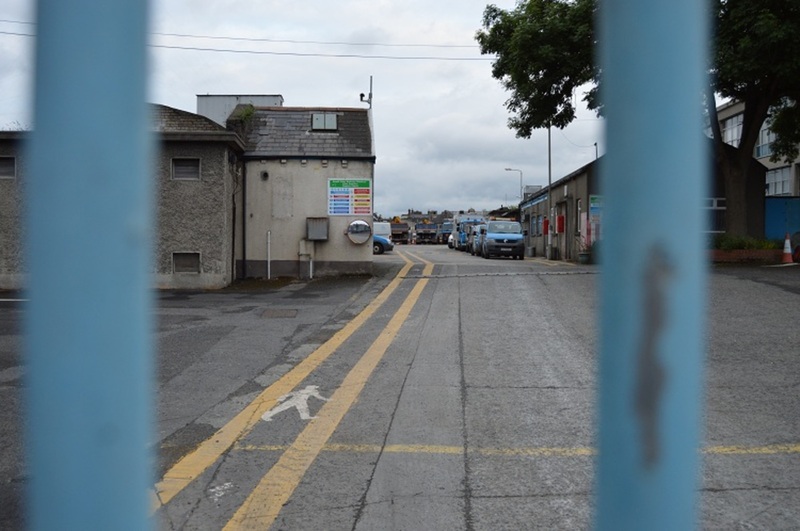 The Examination uses a combination of archival material and research from the UCD School of History’s Catherine Cox, hours of interviews conducted by Cannon and Keegan, and White’s own powerful testimony of his time in Mountjoy. The result is several stories covering prisoners’ current experiences, and ex-prisoners’ experiences, interwoven with the broader historical study Cox has done on the provision of health in prisons, to give an overarching and historical picture of life in Irish prisons. “It’s part of a broader research project that looks at the history of prisoners’ health in England and Ireland from about 1850, and we try and bring it up to the current day,” says Cox. It’s been funded by The Wellcome Trust, a UK-based charity dedicated to improving human healthcare. “Underpinning it is this whole notion of, you know, we don’t think of the prison as somewhere where healthcare has to take place. But obviously it does,” she says. Mental health, she says, is a major problem within the prison population and has been since the 1850s. She points to a much more recent study from 2013 where it was estimated that 8 percent of male remand prisoners “have some sort of psychotic symptoms”, a share ten times larger than that in the general population. The Examination is one of the means – along with an exhibition “Living Inside” on the changes in Irish prisons since the 1960s – through which UCD’s School of History is hoping to engage the public in the daily reality and difficulties of prisoner healthcare. 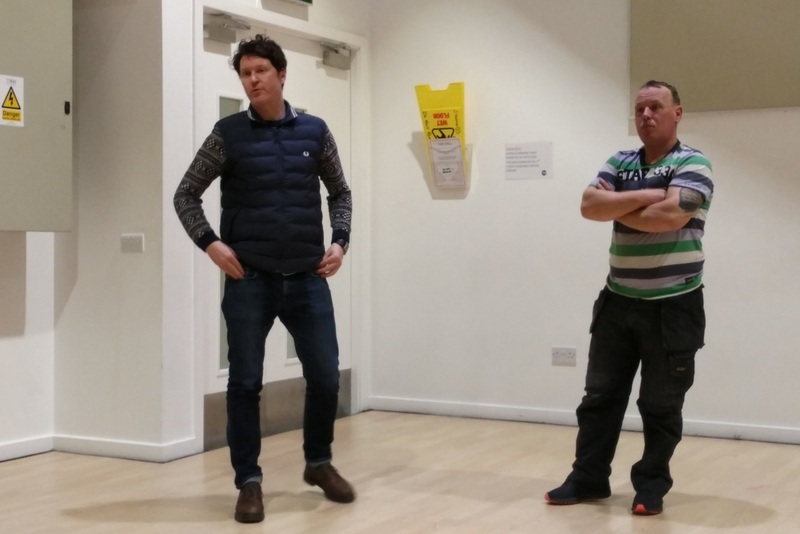 Over a year, Cannon and Keegan did 60 interviews with prisoners and ex-prisoners in both the progressional ward of Mountjoy Prison and within PACE in Clonshaugh in Coolock, a programme that integrates and supports prisoners back into communities. Keegan chimes in and explains how nearly everyone they interviewed had come from a background that had “either addiction or violence or poverty”. “They seemed to come from a place where mental health would have been a problem, addiction would have been a problem, within a family growing up,” says Keegan. White himself first went to prison when he was 19 years old, at the time a polydrug addict. He was in and out of prison, what he describes as the “revolving door”, when he had a moment of clarity during his last release. “I chose the last time out to do something different so that’s what I done. It’s like that Bernard Shaw quote, ‘Progress is impossible without change’, and I needed to change something in my mind so that my life would change,” says White. What helped him along the way was a love of stand-up comedy, fuelled in part by the RTÉ TV show Joy in the Hood, in which he was one of the early participants. “I started doing stand-up after,” says White, and he has performed everywhere from Dublin to Edinburgh to Dubai. It was through his standup act that Brokentalkers came across him and decided he was the perfect person for the job. Does a future career in theatre await White? Hopefully, he says, despite his friends telling him not to give up the day job right away. “I’m not that funny yet,” he says. The Examination is scheduled to run at the Project Arts Centre from 28 February to 2 March, and in Axis, Ballymun on 8 March.